How many times have we cancelled our trips because of the unavailability of the passport of the visa? Sit back and allow professionals to go through all the menace and hectic work of procuring them. We, African Hartebeest Safaris offer punctual and cost efficient Passport and Visa Services in Nairobi, Kenya. We are backed by a team of qualified and professional procuring agents who are familiar with passport procuring procedures. 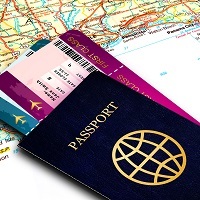 Even if you require a passport on urgent basis you can come to us and we promise to find a suitable solution. We promise to not shake your budget so you can relax. Call us today!